STEMCELL is Canada’s largest biotechnology company. Privately held and based in Vancouver, BC, it has 1,100 staff across innovating in offices in 8 countries. As a company of "scientists helping scientists," STEMCELL develops and manufactures specialty products for life science research, specifically cell culture, cell isolation & accessory products. 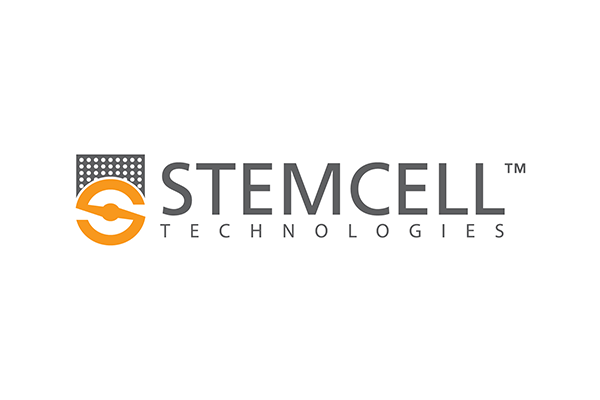 STEMCELL has been an AWS customer for six years, including using the AWS Storage Gateway since 2014, and has migrated 85% of their IT operations to the cloud. Celgene is building a preeminent global biopharmaceutical company focused on the discovery, development, and commercialization of innovative therapies for patients with cancer, immune-inflammatory, and other unmet medical needs. Celgene has been an innovative adopter of AWS, starting in 2014 with Amazon S3 and Amazon EC2, and expanding their usage to at least a dozen services, including AWS Storage Gateway in 2017. Southern Oregon University provides career-focused, comprehensive educational experiences to over 6,200 students. Along with an emphasis on student success and intellectual growth, SOU is committed to diversity, inclusion and sustainability. Theoretical and experiential learning programs provide quality, innovative experiences for students. "Tapes are a headache, prone with hardware failures, offsite storage costs, and constant maintenance needs. AWS Storage Gateway provided the most cost-effective and simple alternative. We even got disaster recovery by using a bi-coastal data center." King is a leading interactive entertainment company for the mobile world, with people all around the world playing one or more of their 200 fun games, such as Candy Crush. home24 is a leading online shop for furniture and home accessories, operating in seven core markets in Europe: Germany, France, Netherlands, Austria, Switzerland, Belgium, and Italy, with additional operations in Brazil. Headquartered in Berlin, home24 employs around 1,200 people worldwide. As a dynamic, fast-growing startup, Home24 relies on AWS in order to consistently deliver optimal service and buying experiences to its customers. AWS' scalable infrastructure enables Home24 to cost-effectively and agilely build a new fulfillment platform and develop new products and features. “We do not have to worry about scaling anymore. The scaling issues are taken from us, and we can focus much more on product innovation." Founded in 2003 and based in London, Arts Alliance Media is one of the world’s leading software solutions provider to cinemas. They equip cinemas with the technology that will keep them running tomorrow, today. NEWLOG Consulting is an Italian technology firm that specializes in developing custom applications, document management solutions, and services for the logistics and industrial markets. NEWLOG was founded in 1994 and is located in Monza, Italy. The company develops cloud-based applications for the logistics market, including a product called Publisherlite, which enables search and publication of ERP invoices. Religare Enterprises Limited (REL) is the holding company for one of India’s leading diversified financial services groups. REL offers an integrated suite of financial services, including loans to SMEs, Affordable Housing Finance, Health Insurance and Capital Markets. As a group, Religare caters to almost every segment of the market, from mass retail to affluent HNIs, mid-size corporates, SMEs to large corporates and institutions. With over 7,000 employees, the group has a presence across more than 1,450 locations across India. Tgix CloudCover is a global cloud services firm that designs, builds, integrates, and manages sophisticated infrastructure solutions and software applications in the cloud. The firm has deep expertise in cloud-based data & application architectures and DevOps automation. Following a technology-agnostic approach, Tgix CloudCover serves an international clientele ranging from Fortune enterprises to startups across a variety of industries from offices in New York, Mumbai, Pune, and Singapore. “Most of our managed service clients are looking at a cloud-first approach for their new infrastructure and data projects, whether they are a Fortune 500 firm or a startup, but the reality is that they have an existing footprint on-premises that they need to somehow mesh with the cloud. AWS Storage Gateway has given our enterprise clients a fantastic way to connect their on-premises applications and storage to AWS resources. In particular, the gateway’s VTL interface has been a cost-effective tool for our financial services clients to address pressing needs like ransomware mitigation and getting off of physical tape backups for compliance with data retention regulations." Moderna Therapeutics a clinical stage pioneer of messenger RNA (mRNA) Therapeutics™, an entirely new drug technology that directs the body’s cells to produce intracellular or secreted proteins. With its breakthrough platform, Moderna is developing mRNA vaccines and therapeutics as a new class of medicines for a wide range of diseases and conditions. JustGiving is a leading platform for online giving worldwide. Its mission is to ensure no great cause goes unfunded, and it has helped people in 164 countries raise over $4.2 billion for good causes since its founding in 2001. "AWS Storage Gateway is at the core of our DR and BCM processes, handling our Co-Located OLTP and OLAP off site data backups, as well as our in-office BCM. It works transparently, in a lights out way, archiving off to a separate AWS account with a simple grandfather-father-son snapshot plan in place." "AWS Storage Gateway further simplifies Amazon S3 integration, enabling VeriStor to expand our solution offerings in managed cloud services and customer migrations to cloud. The ability to securely transfer files through the gateway while maintaining native file format and metadata simplifies our operations, allowing us to easily move data from customer environments to multiple AWS services. It is another great tool that AWS has given us to add value to our customers."